My research into the Royal Navy of the later nineteenth century, which I undertake for the Dawlish Chronicles novels, usually turns up information on the more dramatic aspects of service – colonial campaigns, crises, disasters, exploration etc. What is harder to come by is information on the routine, unspectacular aspects of naval personnel’s daily lives both on and off their ships. In this respect I was lucky recently to encounter “The Handy Man Ashore and Afloat”, a collection of reminiscences, rather than a formal memoir, by a naval chaplain, the Rev. G. Goodenough, published in 1901. I speculate that he may have been related to Admiral Sir William Goodenough (1867-1945) who was to prove an effective commander of cruiser squadrons in the North Sea in WW1. The Rev. Goodenough had a more peaceful career, serving in various warships and troopships, ending his career at the Royal Hospital at Greenwich, which by then was operating as a naval college. His position on board ship brought him into closer contact with the lower deck than would be the case for other officers, and his genuine affection and concern for the wellbeing of seaman and mariners comes through in his writing. The “Handy Man” of the title refers to a nickname popular at the time for naval personnel, reflecting the fact that they could turn their hands to just about any job afloat and to be no less versatile ashore also when landed in Naval Brigades. Goodenough’s book is particularly interesting as regards personnel issues, education of boy entrants etc. but he confessed quite cheerfully that he never fully comprehended more complex operations matters. 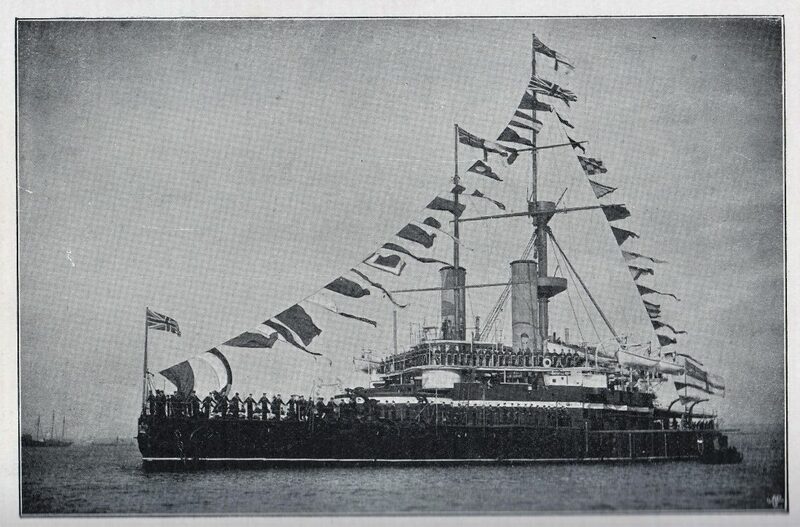 Service in the Mediterranean Fleet in the 1890s was especially enjoyed by Goodenough, much of the time spent cruising with the “Levant Squadron” that spent much of its time at the sea’s eastern end. At this period Goodenough was serving on the squadron flagship, HMS Trafalgar, commissioned in 1890. This 12000-ton, 345-foot battleship, carried a heavy armament (4 X 13.5” and 6 X 4.7”) but was however of low freeboard. This restriction resulted in her, and her sole sister, HMS Nile, spending their careers in the relatively calm waters of the Mediterranean. 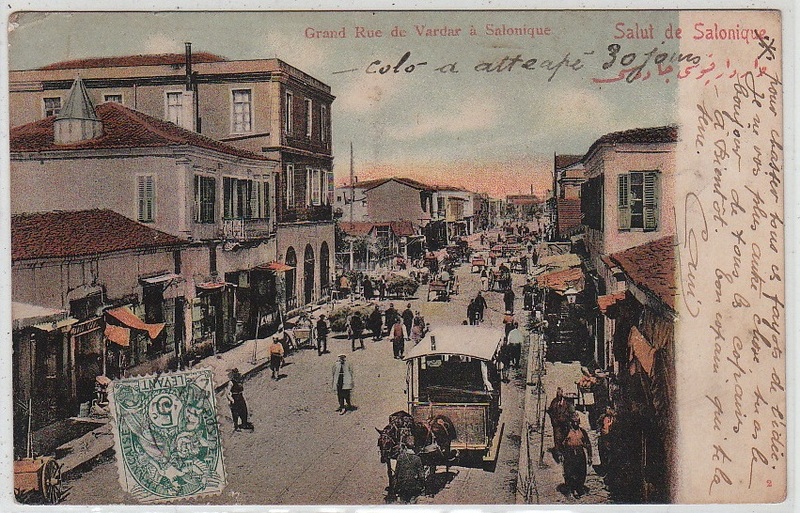 Though based at Malta, much of the crew’s time ashore was spent at Smyrna (Izmir in modern Turkey), at Salonica, at various Greek islands. “Naval Institutes” – shore accommodation – was provided at both Smyrna and at Phalerum, described by Goodenough as “the watering place of Athens”. Considerable attention was paid to sporting events, especially racing by boats of different ships, but by this stage alcohol abuse, which had traditionally been the curse of seamen’s lives, was raising concern. Temperance movements were active within the Navy (a notable initiative being that of the splendid Miss Agnes Weston, who appears as a friend of Mrs. Florence Dawlish in the Dawlish Chronicles novels). 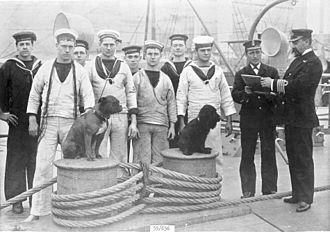 It’s notable that the crew of HMS Pinafore, in the Gilbert and Sullivan operetta of this era, introduce themselves as “sober men and true, and attentive to our duty.” Any earlier generation would have been unlikely to have stressed the word “sober”. It’s hard to imagine similar care for the crews a generation earlier and illustrates recognition of the need for literate men in charge of ever more complex technology to be treated with dignity and respect. Goodenough’s book provides many more vignettes of a vanished world. I’ll return to them in later blogs.